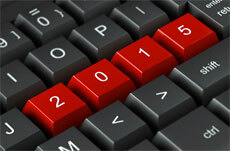 Today’s post concludes our 3-part series on ecommerce resolutions for 2015. If you missed them, check out part one and part two. Leverage geo-IP tools to detect location to at a minimum eliminate country-selector splash pages, and even better – to serve relevant language, product catalog, pricing and content. Segment your email list by geography You may use this segmentation to avoid sending Thanksgiving promotions and 4th of July sales to international customers (for example), or promoting items in your catalog that can’t be shipped outside of your country. You can also optimize message delivery time, rather than sending in the middle of the night. Understand local language. Which products have country/culture-specific jargon? For example, a vest in the UK is not a vest in the US. One man’s slow cooker is another man’s crock pot. Ensure your search engine accommodates these synonyms, and if possible, label your categories and product pages appropriately for each market. If your site handles multiple languages, consider using local copy-writers for not only product descriptions but also PPC ads, emails and social media campaigns. 1. You’re testing minutiae. Don’t start testing button shape, size and color when greater gains can be achieved by radical redesigns and fixing known and suspected conversion issues. 2. You’re testing for the sake of testing. Don’t bother running tests unless you have a clear hypothesis based on fixing an assumed problem or settling a design debate. Don’t just test for the sake of curiosity (red or blue? image one or two?). Unless you have a hypothesis to prove or disprove, you learn nothing more than Version X beat Version Y. 3. You’re not segmenting your test or your results. Averages hide insights. Think about which visitors should be excluded from each test — returning visitors, international visitors, traffic from certain referral sources, mobile visits, etc. And consider segmenting your test results to understand which tactics to roll into personalization and targeted selling strategies. 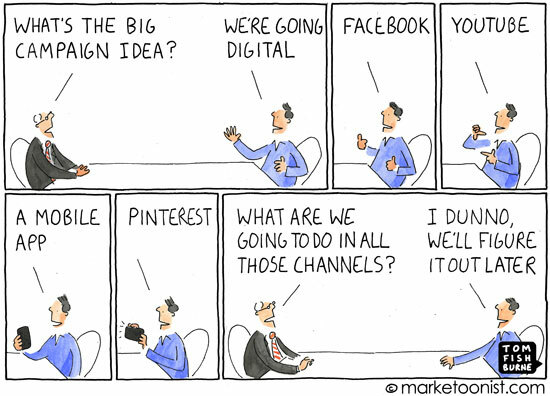 Social strategy is hard. It converts far less than email and search marketing. Social networks are constantly changing the rules of engagement and even making it harder and harder to reach your fans organically (cough, Facebook), and it’s tough to figure out how much attribution to give to social media exposures. Besides throwing more resources at social, how can you improve your campaigns this year? 1. Break down silos between social and other marketing teams. Social can be a powerful ally to branding, content marketing, PR, email marketing, in-store promotions, merchandising, etc. If there’s not a tight integration of communication between social and other functions, you miss the opportunity to fully get the story told across channels, and some teams can go rogue – off brand and off campaign. 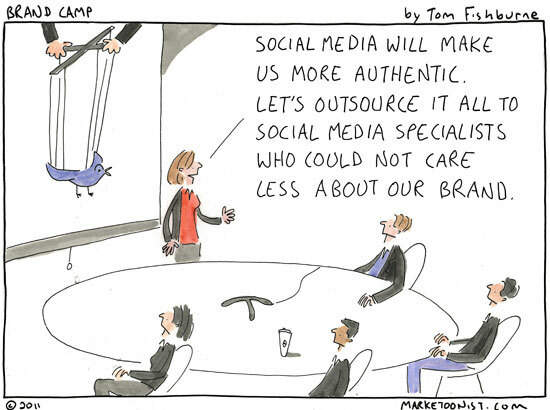 Communication is key — especially if you outsource your social marketing in any way. Determine which types of content are most appropriate to each channel, at what time, in what context. Not every piece of content makes sense for every channel. The channel strategy works best with a non-siloed approach to marketing. Social marketers that are aware of what’s produced by other teams can most effectively feed it through the appropriate channel, and can better feed back response to these efforts. 3. Don’t start 2015 with “business as usual”. Take a good, honest look at campaign performance. Did you meet your goals for audience, engagement, sales and customer service for each social network? 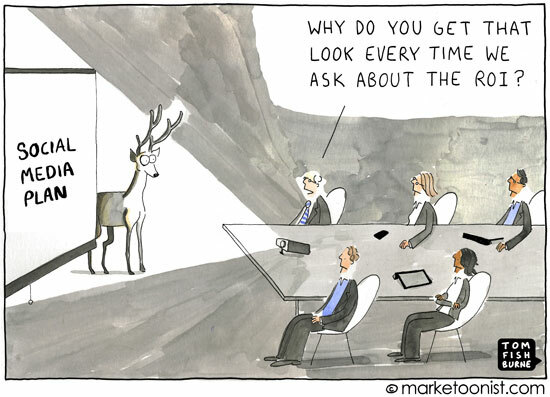 Do you need to revisit your attribution model in analytics? Do you need to increase or reduce spend in Facebook? Were opportunities missed in 2014 (e.g. leveraging the Pinterest API)? Challenge your strategy from last year, and determine what needs to change this year. Don’t just throw more money at social! Ecommerce isn’t just confined to the online catalog anymore. Social networks, micro sites, interactive widgets, lookbooks, video, apps and digital-in-store all present opportunities to merchandise beyond the storefront, but to truly close the gap between content and commerce requires bringing commerce functionality to these experiences. Not mentioning any names…I’ve spotted many top ecommerce sites still say 2014 in the footer. While this is perhaps the least significant piece of your site, it’s just a friendly reminder!